The colours we choose when designing a space can influence our mood. Similarly, the colour a business uses in the office affects the productivity of its employees. Potential clients will also judge you depending on the colour you use for your brand and office premises. A subject we have touched on before but we thought we would summarise. White is a colour that symbolises purity and cleanliness, and adds some clarity to an open space. Apply it in areas like the kitchen or spaces that need a sleek finish to attract or impress potential clients. In a previous blog however we warned too much white can be depressing. Black is a neutral colour that brings a sense of control and authority. On the flip side, one must be careful as it is known to attract natural light. It creates a comfortable elegance when mixed with other colours. Purple is widely known as a royal and luxury colour with some magical mystery. Most people view it as an artificial colour because of its nature, so blend it with another tone to create a more relaxed and natural ambience. Blue is a vibrant colour for an office setting and represents stability and reliability. It has a soothing and relaxing tone that symbolises trust, so it’s essential for encouraging peace of mind. To ensure your employees don’t fall sleep or become inactive, pair it with an orange shade – this will provide a sense of balance in the room. Red is a colour that represents passion, strength and assists in raising mental energies. 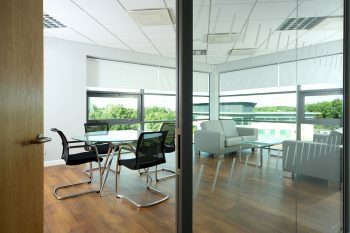 It works well when used with furnishings in the office like sofas and a commercial carpet. Red helps in enhancing human metabolism; respiration rates can increase as well as blood pressure, which is similar to the effects of exercise. Perhaps for these reasons however it is suggested it is used sparingly if you are trying to create a harmonious atmosphere, a subject we have touched on previously. 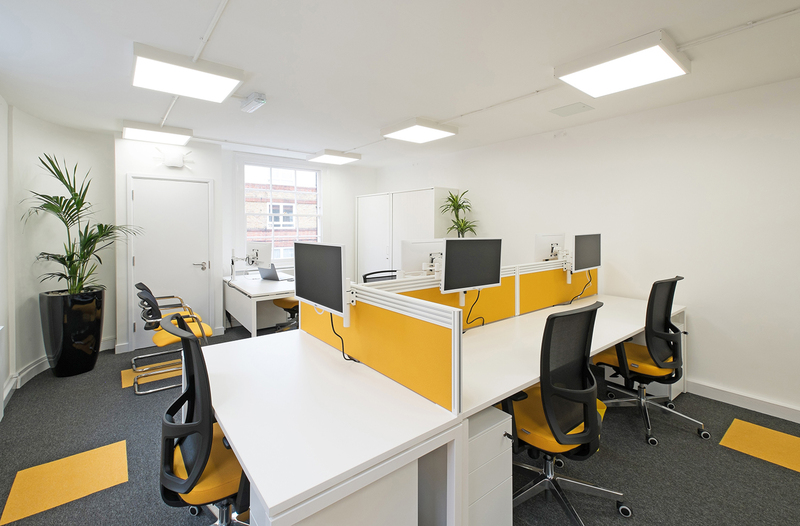 Yellow works well in offices that are secluded for teamwork. It’s a bright and happy colour that improves positivity and generates energy. 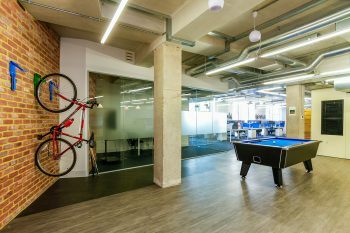 Employees will be in a great mood and it will bring out their creativity, thus tackling the task at hand well. Orange is eye-catching and is widely known to stimulate energy within people. The youth of today love it as it represents fun, success and sheer determination. It also represents food, so it’s appropriate in kitchens or restaurants. 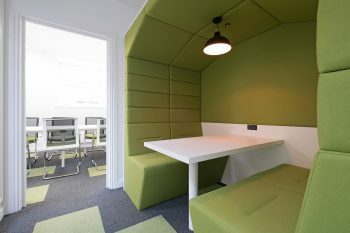 Green is a great choice when you are working in an office environment that requires balance. Green is vibrant, calming and arouses a reassuring feeling. However, use it carefully because it can evoke some stagnant behaviour in active people. To avoid this, be creative and blend it with a red hue to combine strength and calmness.